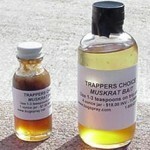 PRODUCT DESCRIPTION: Special muskrat bait using food grade lures muskrat cannot resist. Smear 1 tablespoon on the trip pan of a live trap and then a small dab around the frame at the entrance to the trap make your set. Behind the trip pan, set some "greenery" they're eating in your yard. Use a vegetable or fruit if they are targeting your garden. 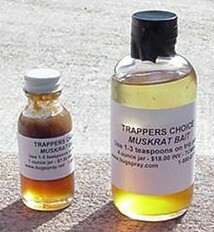 Muskrats will quickly find your set since this bait is made of food stuff they love and will smell from afar. Use for live traps like our LT7824. This can also be used for leghold sets along the shore or close to dens. RATE OF APPLICATION: Generally, small amounts like 1-2 tablespoons are enough for most sets.